“El Vermut,” the new Vya Vermouth On Tap | Vermouth You Ask? On ice & in vermouth cocktails accompanied by tapas a la Barcelona! In the relaxed drinking culture of trend-setting Barcelona, vermuterias dot the street corners and patrons spill out onto the sidewalks in the Spanish sun drinking glasses of cold vermouth. When Andrew Quady, originator of California’s Vya Vermouth, visited the city last year with his wife, they were inspired by delicious vermouth served in the welcoming vermuteria atmosphere and they went to work creating a new vermouth specifically formulated to be served on tap— El Vermut as they say in Spain. El Vermut is an American original formulated by Andrew Quady, the man whose Vya Vermouth first exposed the palates of Americans to small-batch, artisanal vermouth a decade ago. 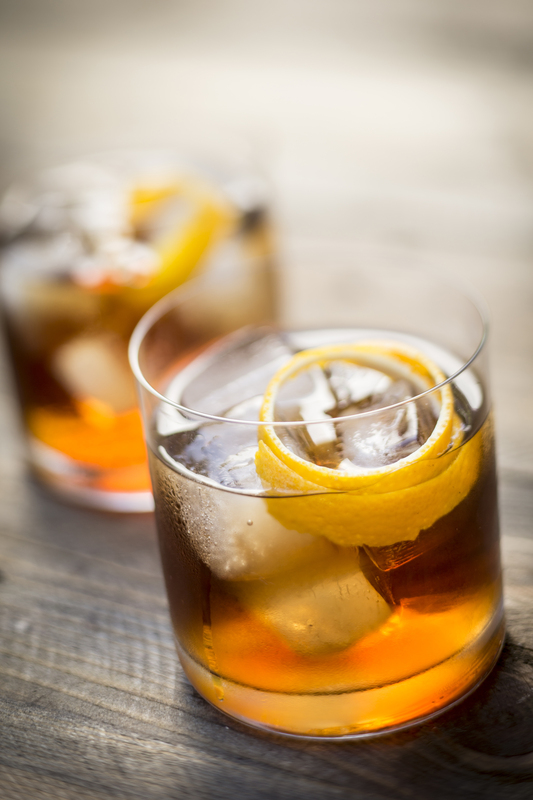 It is created to be an everyday drink the way vermouth is experienced in Spain: in a cold glass, with an orange twist, perhaps an olive or some soda if desired. It works beautifully in vermouth-centric cocktails. With over twenty different spices, and a mixture of four neutral base wines, including Quady’s Starboard port, this special blend expresses the sweetness levels of Spanish vermouth while distinguishing itself as a uniquely refreshing American experience. Fans of Vya will recognize the signature holiday spiciness and refreshing zest found only in vermouth made by Andrew Quady and winemaker Michael Blaylock at Quady Winery. Chantal Tsang, Mockingbird Hill, Washington D.C.